At one time, it would only be large corporations that were concerned about breaches with computer network security. But now, small companies are part of the mix. A breach in security is no longer a problem for only the larger companies. It can plague any company, whether large or small. Regardless of the size of your company, it will take a lot of time and attention to keep abreast of all the different things that can invade your IT. In the era of technology, most companies rely on the Internet to send email and on network servers to store sensitive information. If you are a small company, you may be wondering how you will be able to combat this problem. 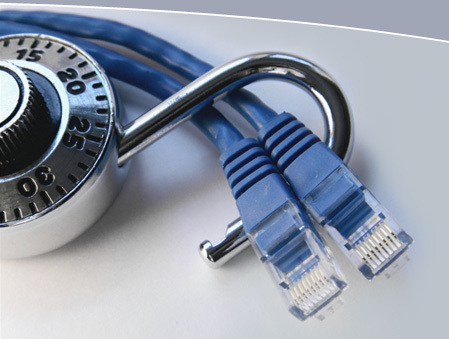 You have to take the right measures to secure your computer network and you will need an IT professional to assist you. While you may not have the budget to hire an entire IT staff, you could consider outsourcing the work to an IT company. By outsourcing various projects, you will not have to consider the same costs that you would if you hired a full time IT team. This decision is very important to your bottom line because a failed network security system means that you could end up paying much more to replace an IT server, if it were to get damaged by a computer virus. Don’t be a statistic as it relates to a risky network server. Did you know that network security breaches can even come from internal staff? Yes, in fact, employees contribute to 80% of this problem. While your staff may be a huge asset to your company, there are some of your employees that could pose a serious risk to your company’s network security. When you outsource the IT security project, you are dealing with a third party and a contract agreement places responsibility on the IT professional. At times, the internal staff is not aware of the breach because of not being fully informed. For example, an email attachment that is opened by a staff could be the one dagger into your network security. IT professionals are informed and already aware of the potential risks of opening an email attachment. IT professionals will be more proactive and look out for all the risks associated with having a lax network security procedure. They will have knowledge of the various spyware out there, how to filter spam email and the different technologies that could pose a threat. There is no guarantee for full network security protection against breaches, but it is important to have a plan and be proactive, which most IT professionals are good at.